Are you ready to learn the simple secrets to better sports performance? These two rules make so much sense and yet are overlooked so often… #1 Eat when you're hungry #2 stop before your full… so simple… so effective… & here’s why. In sports, and in life, you want to perform your best and need the fuel to do it! The first strategies that come to mind might be nutrient specific, for example how much protein should I have before and after exercise? How much water do I need everyday? What are the best sources of carbohydrate? All of these are great questions and important… BUT if you don't eat enough or eat too much you zap the ability to use your muscles well… not good! So here are the 2 easiest ways to boost performance. #1: Eat when you're hungry… before you're starving to death! Your body has a way of letting you know when it needs more fuel and the best way to respond and keep your energy high is to have a small meal or snack soon after your body lets you know it's time. If you ignore this hunger signal your body is forced to use stored energy to keep your brain and nervous tissue working well….This is not your bodies favorite way to get fuel, so your feeling of hunger continues to grow… and grow… by the time you eat your starving! your brain doesn’t have the energy to think… it's hard to make a good decision… and you're more likely to choose something that's not very good for you AND you eat fast AND more than you need, both consequences of ignoring hunger zap performance… The solution…. Listen to your body, plan on eating a healthy meal or snack soon after you get hungry. Your sports performance will never be limited by lack of fuel. #2: Stop eating before you get full! Your body is a champion @ doing one thing at a time very well… but when your body has to do two things at once… for example, exercise and digest, it does both poorly. You might've experienced this before on a long tournament day… by lunch you're starving… you devour a huge sandwich sports drink & chips! About 30 minutes later you feel like you need to take a nap… sound familiar? This happens because your body is trying to do one thing well… digest. During digestion blood moves toward your stomach and gut, and away from your extremities i.e. muscles. High level performance depends on blood flow to your muscles. The solution! Eat slowly and stop as soon as you're not hungry anymore, as soon as you are satisfied… But not full. 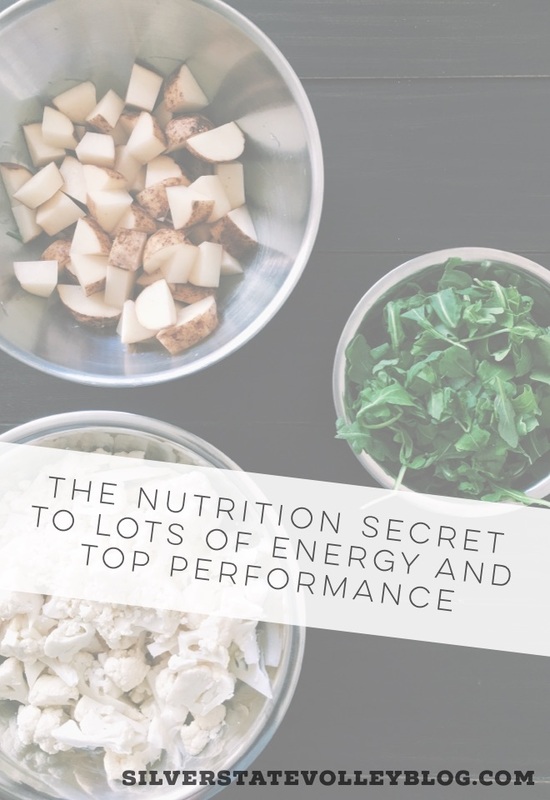 High-level performance can be accomplished with two super simple habits… plan healthy meals and snacks, eat soon after feeling hungry … just enough to take away your hunger but not enough to fill you up. Family and friends of Silver State, wishing you peak performance and tons of energy! Keep up the hard work and contact me through my website at nutritionanswered.com if you want to know anymore about this or any other health topic.